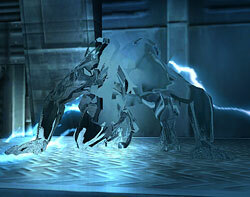 As the match begins, the characters enter the screen with signature moves! 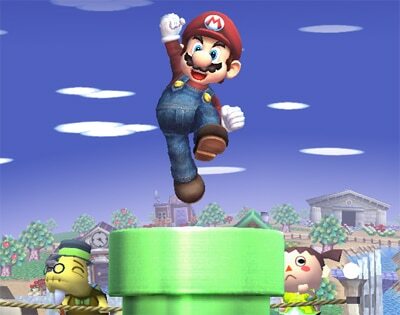 These fun appearances have been revived in Super Smash Bros. Brawl! Mario appears out of a pipe. It’s pretty basic. Fox dashes out of the Arwing. The condor appears! 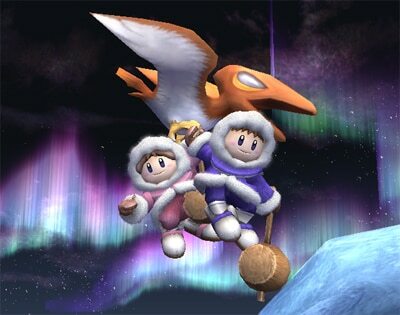 It’s the Ice Climbers. 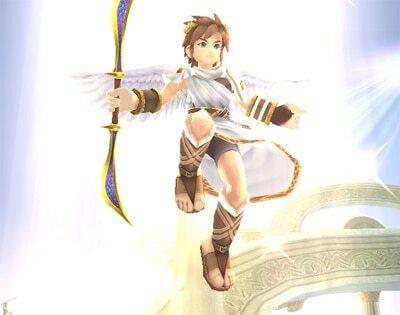 Pit comes riding in on light from the heavens. Mr. Saturn’s tea table? 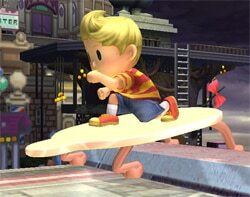 Lucas appears! Could that be warp magic? 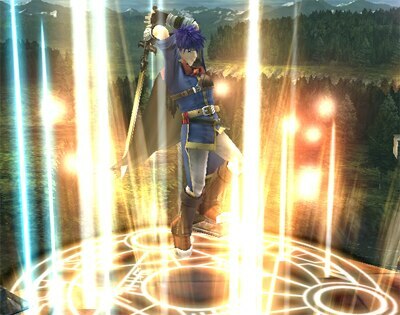 It’s Ike? Snake’s optical camouflage breaks up as he lands. There’s a three-second countdown before the match begins. 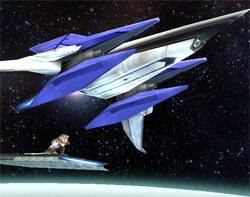 And those are just a few of the fighters making their appearances.